If you follow me for a while now, you probably know that the majority of traffic comes to my blog from pins that went viral on Pinterest. The first viral pin that created a spike in pageviews (check screenshot below) happened on my blog exactly one year ago, on a Saturday, Sept 16th, 2017. So I decided to celebrate this day and share with you all that I know about getting my pins go viral on Pinterest consistently. Did I mention that traditionally my blog’s traffic is higher on weekends since Pinterest users are most active on these days? Anyway, now you know it. And keep that in mind, it is very important for getting your pins viral on Pinterest to pin at the right time and days. So, what is considered a viral pin? There is no specific number that defines a viral pin. Does it start from 1000 repins? Maybe, but if you have many posts with over 1000 repins, which one of them is viral? The one with 100,000 repins probably looks more viral in this case. Here is one of the most viral pins that drives me a lot of traffic, it currently has over 100k repins. Once this pin received 1.1 Million impressions and 12.5K clicks to my site in 30 days (based on Pinterest Analytics reporting). I was honestly surprised to see it myself. I’ve got my first viral pin on Pinterest and first 6,600/pageviews a day to my blog on Sept 16, 2017! So, you can see from my Google Analytics stats, until September 16th last year, my blog’s traffic was growing pretty slow and I had some traffic spikes but they were not even close as big as this one in September. Just to remind you, it was about 1.5 months before Halloween and I already had a viral pin about Halloween. Check the screenshot below and you will see that I’ve got 6600 pageviews from Pinterest just to one post in a day! And it was just the beginning. This post kept driving me crazy traffic until Nov 4th after which obviously Halloween as a topic was no more trending on Pinterest. 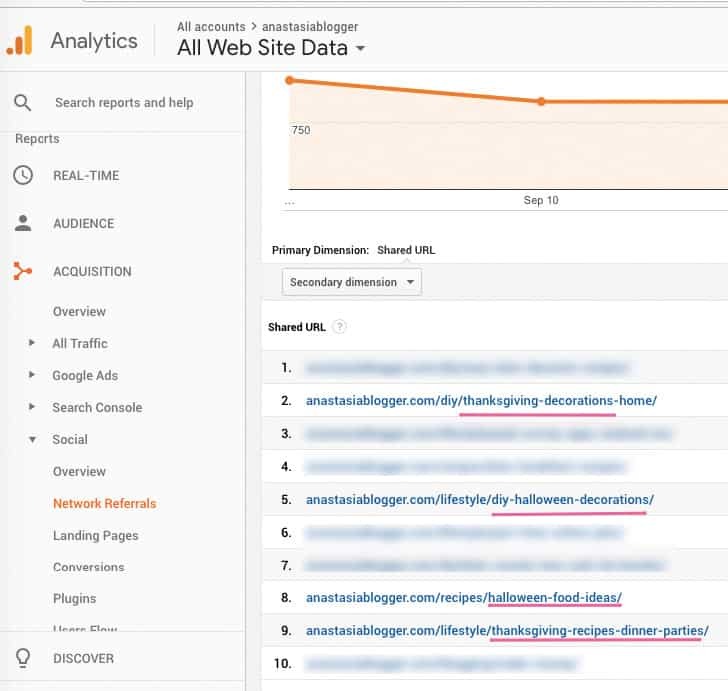 Now, we are at the start of the holiday season 2018 and what do you think is happening in my Google Analytics? During the last week, my holiday related posts (Halloween, Thanksgiving) started taking off with the old viral pins and some new pins I created for the same old posts. At the moment, out of the top 10 posts on my blog, 4 are with fall holiday-related content. Well, if you haven’t posted any holiday-related content and plan to get Pinterest traffic, it’s time to act now! You can still get on this train and catch up some extra traffic. Consider working on Christmas-related content at the beginning of October as well. You can find a way to turn almost any topic around holidays, whether you are a recipe blogger, a DIY, crafts, home decor blogger, even if you are writing about sales and business, you can give some tips on how people could leverage the holiday season buyers activity. Now, what should you do to get some traffic to your old holiday-related posts? Find in Google Analytics your old most popular pins and repin them to all relevant boards (better if you make it with intervals using Tailwind scheduler). 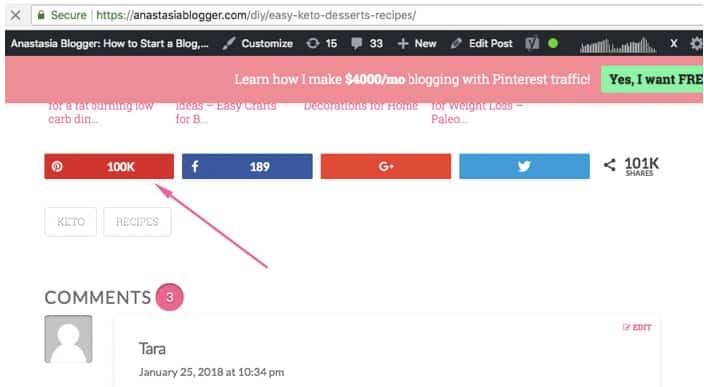 Create 2-3 new pin versions for old posts and also include them into your schedule so that the new pins can also compete for the same keywords in search results. Yes, it happens a lot that your old and new pins for the same post show up in Pinterest search, and this is great because you get more changes for a click-through to your site. 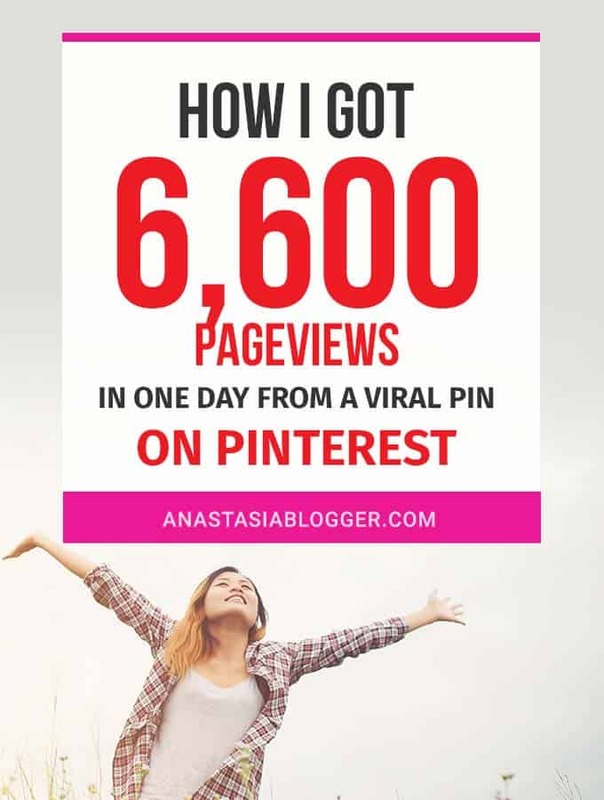 If you want to learn more about driving viral (free, organic) Pinterest traffic to your blog, you can keep reading my blog of course because I share here some tips. Or you make a jump-start on Pinterest and grab the essence of all my Pinterest expertise in a week by taking my Pinterest SEO Traffic Secrets Course. As promised, to celebrate the anniversary of my first viral pin ever, I do a Flash sale for my course this weekend. How to Get Noticed on Pinterest? A pin can go viral without any special keywords or much effort just because the image or text on the pin is so irresistible that everyone wants to click-through and save it to their boards. This is why I can’t emphasize strongly enough how important is the graphical quality and creative part of your pins. You don’t need to make all the images in the post vertical pin sized, but you have to create at least one ideal click-worthy pin for each post on your blog. So, learn about the best size of pins and other basics of creating perfect pin images. This one is huge. And until today, so many bloggers have no idea how to optimize their accounts, boards, pins and blog posts for Pinterest. To start understanding Pinterest SEO properly, start from this post. Virality of your pins depends a lot on timing. If you pin Christmas-related pins in May, you should not expect many repins. Most probably, closer to Christmas you’ll need to create new pins to get some traffic to the same post. The gap between May and Chrismas is huge, however, if you pin 1.5-2 months in advance getting ready for any holiday or seasonal trend, you will be in the best position. We started this post with Halloween posts, and just like last year, I started pinning about Halloween in August. 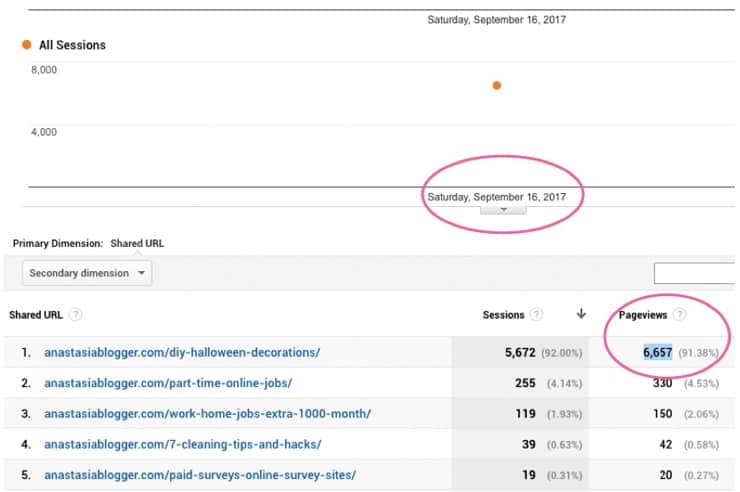 Pinterest will use this time to gain some data about your pin (from the boards it was saved to, from the keywords and interests of people who saved it) – so that when Halloween is getting closer, your pin already has all this info assigned to it and can compete with other pins. The second important timing factor is pinning when your main audience is active on Pinterest. For my content, the best time to pin is 9-10 pm EST and on weekends I get higher engagements and traffic. To make sure the new pin gets early engagement, I save it when my audience (US, mostly female users) are on Pinterest and have some free time to read and save pins. If you live in a different time zone and while your audience is active you are asleep (this is my case by the way), you should check out Tailwind Pinterest scheduler. 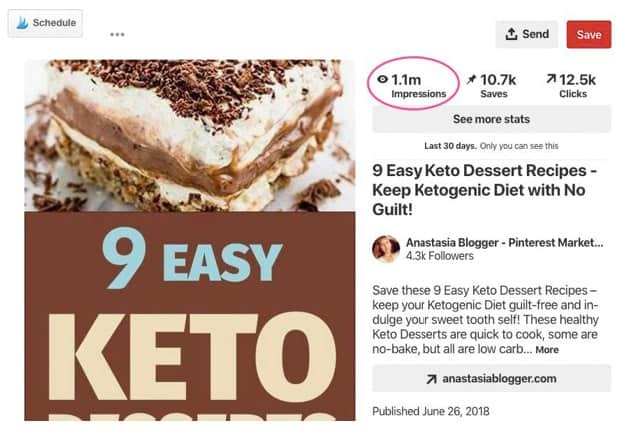 If you found this post useful and want to check it later again, save THIS PIN to your Pinterest Marketing board on Pinterest.